Despite the high levels of unemployment in Greece, the majority of young people do not take a positive view of the prospect of employment in the shipping sector. 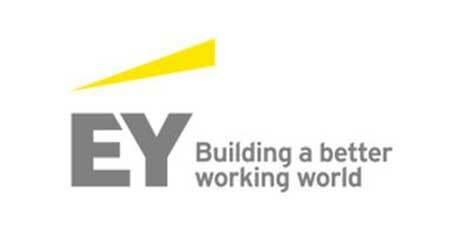 This is the key finding of a survey by EY1, combining the results of telephone interviews of 1.000 young people aged 16-30 and of a series of in-depth interviews with executives from shipping companies and representatives of the academic community.. Asked about the features they consider important when looking for work, respondents mentioned: a pleasant environment (57%), job security (54%) and career prospects (50%). High earnings ranked fourth among the important criteria (45%). Based on the above, jobs in shipping, particularly at sea, ranked low among the options considered by respondents. Among those who said they did not wish to work in shipping, the most important deterrent was “long absence from home and family” (65%), while a large number of respondents said that they “don’t want to be locked up in a boat” (40%) or that these jobs “require expertise which they lack” (35%). Interestingly, reluctance to seek employment in shipping coexists with high levels of recognition of the sector’s contribution to the national economy. 58% of respondents believe that the shipping sector contributes to the economy, which compares favorably to manufacturing, commerce, banking and the public sector, but lags behind the tourist sector. The majority of those interviewed also describe shipping as a dynamic sector (47%), a sector which commands respect (45%) and one that carries an important tradition (50%). However, respondents appear detached from the shipping sector, as only 16% say that “they feel close to shipping”, while only 24% believe that “shipping provides jobs to young people like myself”. Commenting on the findings of the survey, Yannis Pierros, EY Transportation Leader for Central and Southeast Europe, stated: “At a time when our country is facing the huge challenge of unemployment, reconnecting youth with the Greek naval tradition is of vital importance. It is also critical that young people reposition themselves with regard to the present state of the shipping industry, and vice versa. It is clear that the Greek DNA contributes significantly to Greek excellence in the industry, so we need to give young people in Greece direction and perspective. Meanwhile, in view of recent technological developments and the growth of companies involved in the administration and management of the commercial fleet worldwide, attracting exceptional talent has become crucial for the viability of shipping companies. There is a substantial human capital in Greece which today is seeking its fortune abroad. 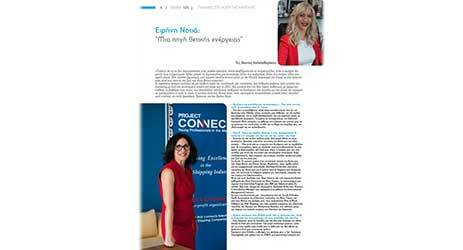 This human capital could instead be seeking employment within the Greek shipping sector, which appears as the most dynamic, extrovert and internationally competitive sector of the Greek economy”. The study by EY also brought to the fore the problems facing maritime academies. According to the feedback of representatives of the Academies of Merchant Marine and executives from shipping companies, while the level of candidates is constantly improving, the Academies are faced with pressing problems relating to staffing, infrastructure and financing, and are unable to respond to the needs of modern shipping. Curricula are prepared without the participation of the industry and have not been adapted to current reality and to changes brought about by technology. At a time when there is a global shortage of captains, engineers and electricians, and considering the Greek marine tradition, the Academies, given proper support, could compete with major schools abroad, attracting foreign students to Greece and providing important benefits to the national economy. Shipping companies should consider adopting best practices with regard to recruitment and talent management, as well as a more outward-looking corporate culture. They should seek to establish or strengthen human resource departments, leveraging from the best practices followed by other sectors of the world economy with regard to attracting talented professionals ashore, and try to mitigate, to the extent possible, disincentives related to working and living conditions onboard. The industry should consider communicating more effectively the sector’s achievements and the changes taking place, especially regarding working and living conditions on board of Greek vessels. Changes and improvements already accomplished appear not to have been effectively communicated and, as a result, negative perceptions from the past are being perpetuated. Improvement of marine education. It is imperative to restore funding to the Academies, to improve the quality of the academic program on offer and to establish closer links between the Academies and the industry, particularly with regard to curricula. The Greek state, further to securing the necessary funding for the Academies, must play an active role in the effort to secure greater recognition of the contribution of shipping to the Greek economy and must approach the issue of collective bargaining for crew members in a realistic and responsible manner. 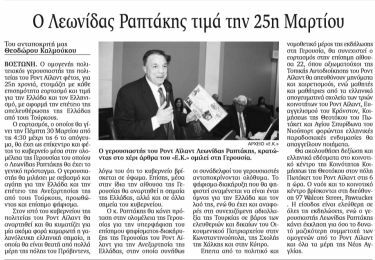 Source: Nikos Roussanoglou, Hellenic Shipping News Worldwide.